I thought I’d address a couple of comments from ibwo.net written in response to the recent post on sightings and evidence from 1944-2003. Duck Stamp reminded me that Lewis’s story and identity were revealed in Tim Gallagher’s The Grail Bird, and Houston pointed out John Fitzpatrick’s discussion of the images in a presentation on the rediscovery. “I hurriedly put the dog I was working in the trailer with the others and walked toward the point where the birds had entered the trees. I found the male right before me on the trunk of an eighteen-inch cypress. While this could be true, it seems far-fetched, at least to me. My guess is that Lewis was teasing or testing Gallagher and Harrison somehow. In some ways it brings to mind Lowery’s initial question about the quality of the images; if this were a hoax, why would Lewis tell such an odd story, one that would be sure to raise doubts? Edited to add: Frank Wiley and another person I respect don’t see the story as being implausible, and given the wide angle of the camera’s lens, holding the camera over one’s head and keeping an eye on the bird makes sense. In addition, I was reminded that the fact that the photographs show the bird on two different trees makes the idea of a hoax seem even more far-fetched, since it would have involved scaling two different trees, a lot of effort for little reward. Fitzpatrick’s comments on the Lewis photos come at 24:00 into the Cornell video. Fitzpatrick suggests that there’s too much white on the wings, and that the white includes the secondary coverts. He goes on to say that the posture is the same (I don’t agree), and that the suspicion in the 1970s was that it was either a specimen or a composite of specimens. 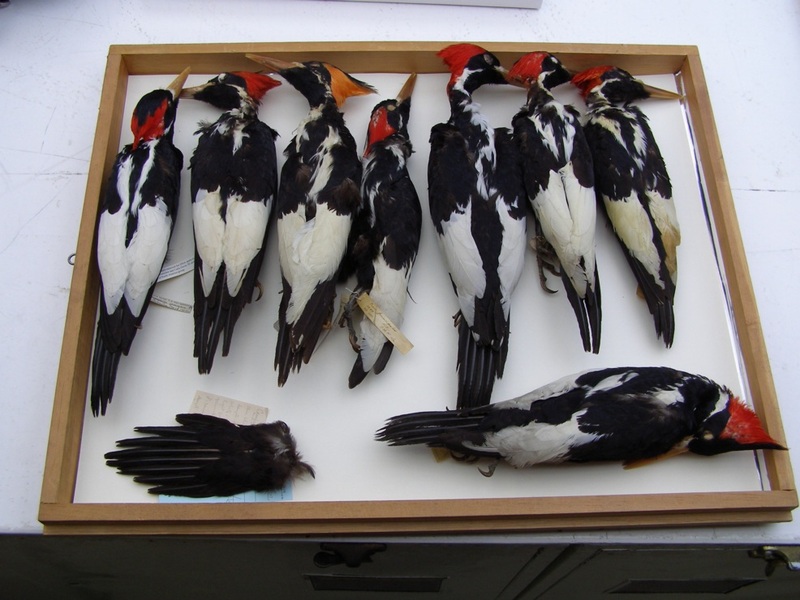 There’s an inherent contradiction in that argument, since a specimen or a composite would have actual ivorybill coverts unless Fitzpatrick meant a composite made from other species. Either way, the latter suggestion was unfamiliar. It strikes me as being thoroughly implausible, since it requires an additional layer of elaborateness. I don’t think the images are sufficiently defined to be certain about the coverts. 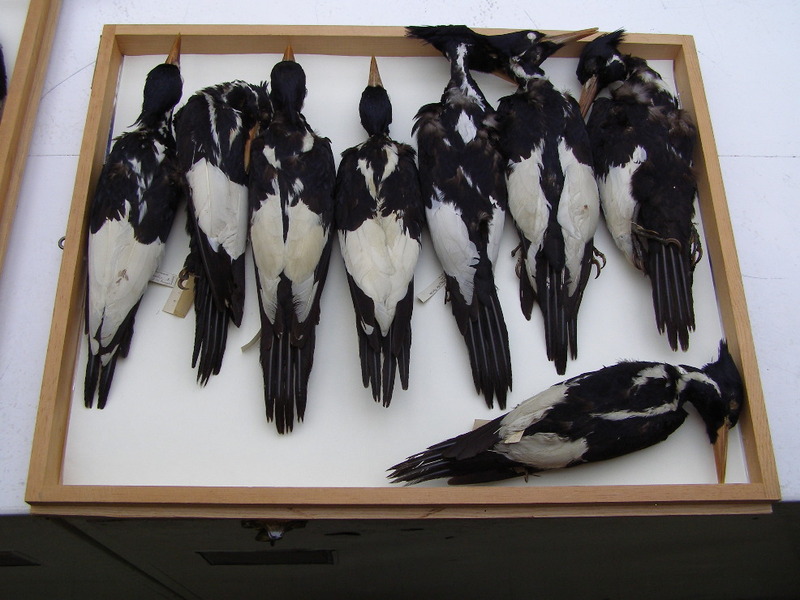 In addition, ivorybill specimens show considerable variation in terms of the extent of white on the wings. Frank Wiley has looked at a significant percentage of the study skins available, and I have looked at a number of others. The average male presents a bit more white than the average female, but these slight differences in the amount, and presentation of white are not enough to conclude that this is a sexually dimorphic character of the species. Despite the strange story about how he took the pictures, I still find the Lewis photos persuasive because of the bark scaling and cavity, the likelihood that the feet are in fact visible, especially in the second photo, and the fact that George Lowery accepted them; in addition, Tanner did not take as aggressively negative a stance as he did with many other reports, though he could have gone easy out of respect for Lowery.